While this week’s episode of Raw turned out to be a decent show, reports suggest that the company had to act on the fly and rewrite parts of the show due to travel issues. The news was first reported by John Pollock on Twitter and providing an update on the situation F4Wonline reports that a bad travel day was the reason for it. According to the site, a combination of bad weather and flight cancellations in Newark, New Jersey affected the availability of stars for tonight’s episode of Monday Night Raw. 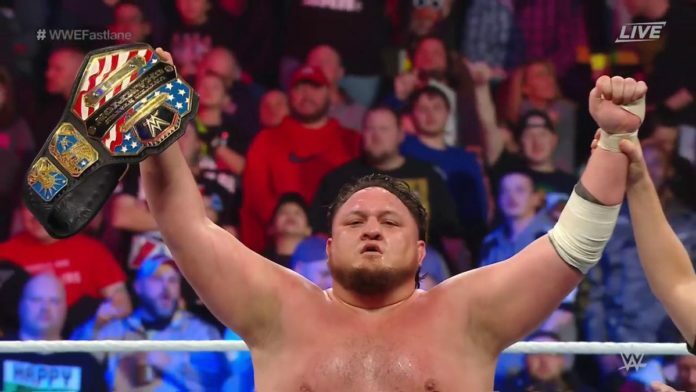 On a related note, there was also a segment planned for the United States Champion Samoa Joe but it was cancelled because Joe was very sick with a bad case of flu. A segment featuring him would suggest that the company was planning to move the former TNA Star and possibly the US title along with him to the Red Brand. Though it hasn’t been confirmed if this was really the case and with the Officials being forced to remove the segment, it’s hard to say how they will follow this story. The Superstar Shakeup will continue on SmackDown Live tonight and we should get a better idea about Samoa Joe’s future during the show. You can check out a list of confirmed drafts from night one of Superstar Shakeup here.